One before and one after in the world of flexography. Because a company can make a difference. Flexographic Solutions S.L. is a company specialized in the production, marketing of products, flexographic tools of the best quality. As the manufacture of photopolymers, ITR sleeves and direct engraved elastomer with a wide range of measures for hardness among others. Where we offer a personal consulting service for advanced workflow automation and process management. A renewed and avant-garde company, which has the support and experience of a team of professionals with more than 20 years in the flexographic sector in the most important companies and pioneers in our country, The final companies are those who have bet on this new Project, which positions us to master the challenges of today's globalization, in the midst of a market as demanding as competitive and we hope that it becomes the greatest reference of our sector. 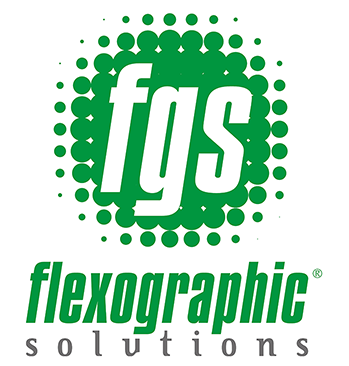 Flexographic Solutions S.L. is open to innovation, so we are always training and modernizing in accordance with the advances of new technologies, which makes it possible for us today to offer you an improved presentation of our services that we would be pleased to show you, so we want to extend a Personal invitation to visit and know our facilities. Those responsible, behind the projects. Professionals are involved and committed to the company. "We are a company with great professionals and with the illusion of a new and innovative project." "We always innovate in the latest technologies. It is a great investment but gives its advantages." Join us today, start today. We bring our extensive experiences of custom projects for you. Seriousness, professionalism and efficiency get awards. 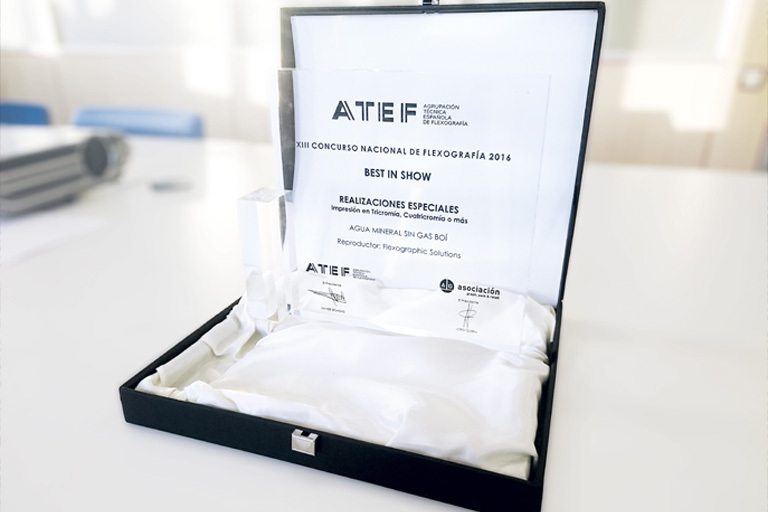 Best work of Spain in 2016, in flexible packaging of the Category of special realizations, ATEF (Spanish technical group of flexography). Work that technically is very advanced, since it has been printed in 70 l / cm 178 lpi, in a development near to 1000mm and width 900mm. Apart from the difficulty of the Screened, it is necessary to see that it is a very big machine of 1500mm wide by 1200mm of development. Which tells us that advancement in extreme qualities is a reality. Our company always bet on these developments. If anyone wants to consult a detail, we are at your disposal.